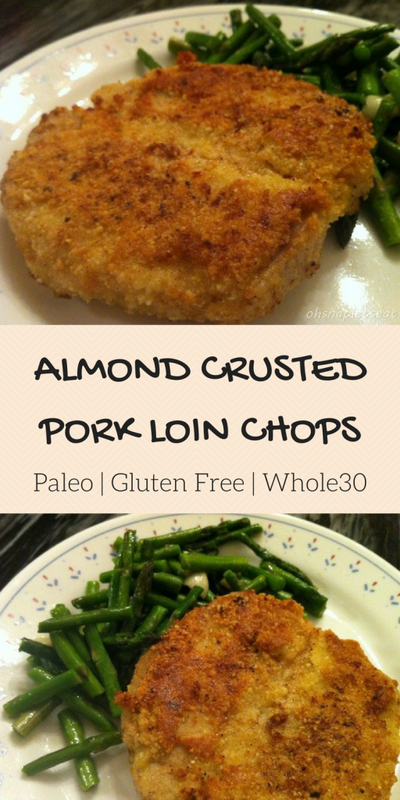 Easy Paleo Almond Crusted Pork Loin Chops - Oh Snap! Let's Eat! There are several ways to prepare pork chops. This is a method of breading it… but in the paleo fashion! How do you do that? The answer is Almond meal (aka Almond flour). Almond meal , almond flour is basically made from ground sweet almonds, which is much more nutritious than white flour. I got the Butterflied Pork Loin Chops! 1. Beat the egg in a bowl. 2. Place the pork chop in the egg and coat on each side. 3. Dip the pork chops into the almond flour. 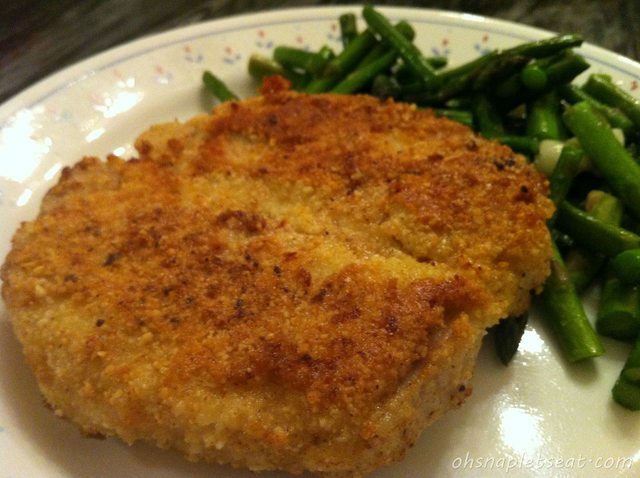 I use about 1/4 cup of almond flour for each pork chop. 4. Heat up the olive oil (or other cooking fat) in a pan at medium high heat. 5. Place each boneless pork chop in the pan. Cook for about 5 minutes and then flip over and cook another 5 minutes on the other side. That’s about it! Wait a bit before you eat it so you don’t burn your face off! Place the pork chop in the egg and coat on each side. Dip the pork chops into the almond flour. 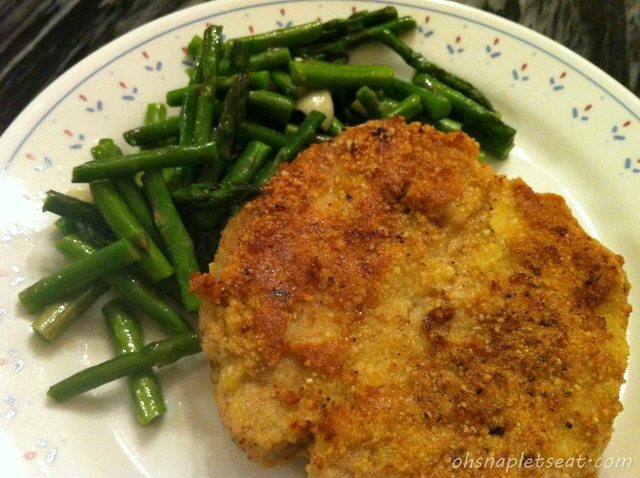 I use about 1/4 cup of almond flour for each pork chop. Heat up the olive oil (or other cooking fat) in a pan at medium high heat. Place each boneless pork chop in the pan. Cook for about 5 minutes and then flip over and cook another 5 minutes on the other side. I love pork loin. Can’t wait to try this. I don’t typically make pork but this looks fabulous!! Would this be considered Whole30? Or SWYPO? What can I sub egg with? Anyone know the calories, fat, carbs, & protein?